After lifting the suspension of our trucks, the upper ball joint can be put at some harsh angles. Especially when the suspension is flexed from side-to-side. A lot of users, including myself, have flipped the upper control arms to compensate for the angle of the ball joint. In order to “flip” your UCAs, you need to remove both control arms, and re-install each on the OPPOSITE side of the vehicle, UPSIDE DOWN. Ex. Take the control arm from the DRIVER side of the vehicle, and re-install it UPSIDE DOWN on the PASSENGER side of the vehicle. 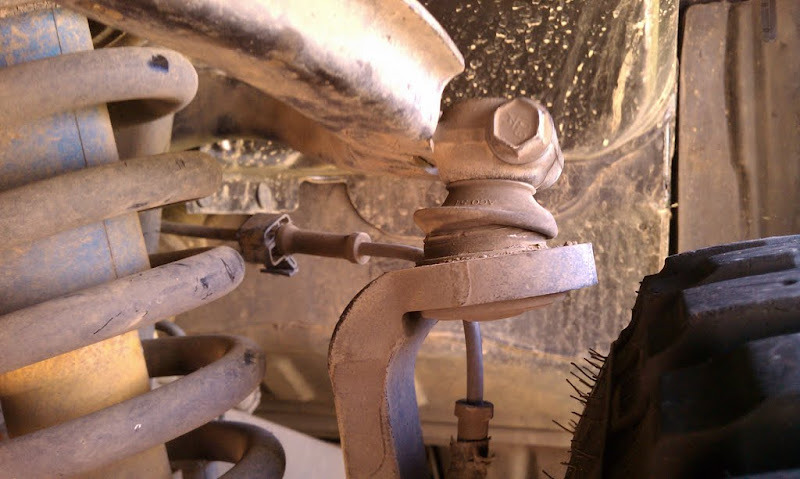 Shown below is what the upper ball joint might look like after installing a suspension lift, and before a UCA flip. Notice the ball joint is angled towards the tire. 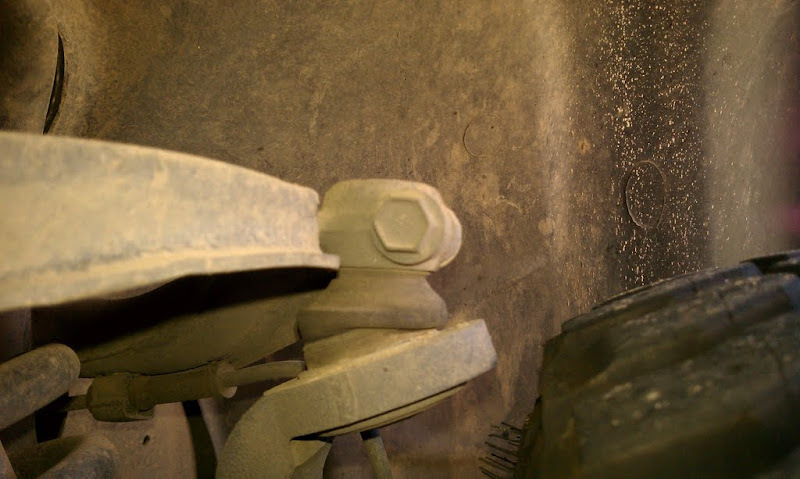 If the tire were to go up higher, then the ball joint would angle towards the tire even further. Shown below is the upper ball joint after the UCA flip. As you can see, there is a visible amount of angle recovered by the UCA flip, which also results in just a tad bit more clearance between the ball joint mount and the tire.